First Step is your Inspiration. Everyone needs an ottoman or stool. It’s a very useful accessory for the home. I found some ottomans/ stools on Etsy and at WorldMarket pictured below. 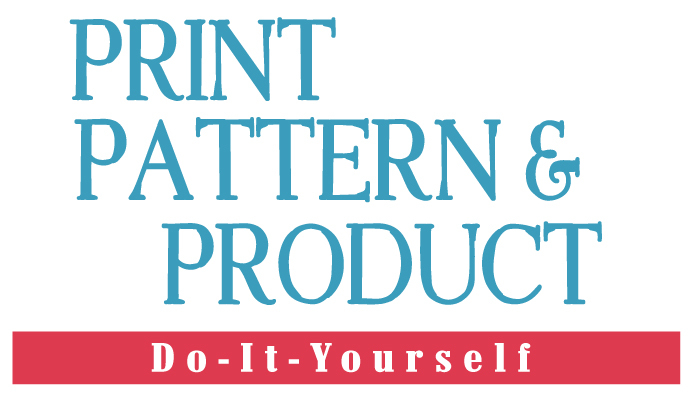 You can purchase designs on our online gallery at Design Works International and then have it printed digitally at First2Print, our sister company. They have a variety of fabrics you can choose from. You can also have your own custom design printed at First2Print. Now It’s time to assemble your PRODUCT. I already had an ottoman at home,so I decided to change out the solid fabric for an updated PRINT & PATTERN fabric. 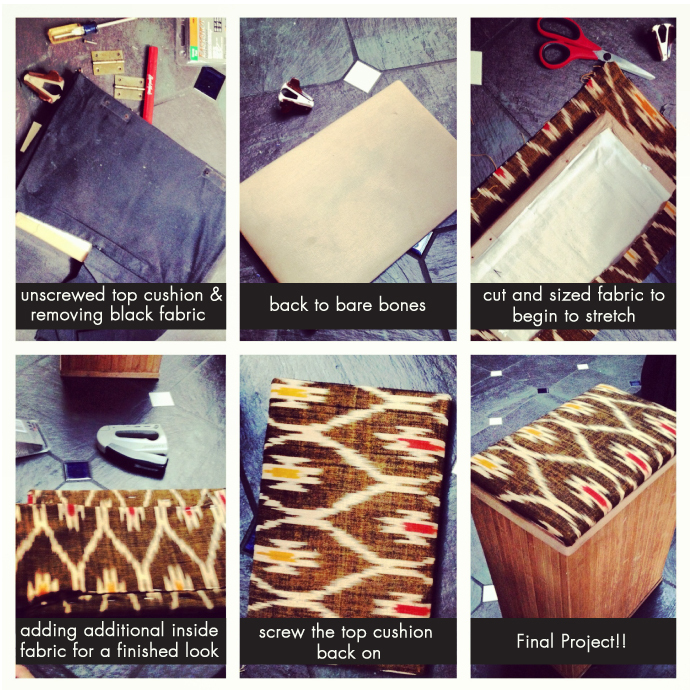 Below is a simple How-To for upholstering your ottoman. One afternoon and a DIY project to show for it!! This entry was posted in art, Artist, Back-To-School, Color, Crafts, Creative arts, Design, Design Works International, DIY, Do it yourself, etsy, Fabric printing, First2Print, Furniture, Global, Global Prints, Graphics, Home, NYC, print, print & pattern, Product Design, Surface design, Textiles and tagged Design, Design Works International, DIY Fashion, Do it yourself, Home, New York City, NYC, Surface design, Textiles by Design Works International. Bookmark the permalink. Design Works Style is the industry blog of Design Works International, a lifestyle design studio in the heart of Manhattan. Reblogged this on Odds & Ends from a lifelong artist.